“Who did you pass on the road?” the King asked. Since it opened in 1997, the Beavercreek, OH municipal golf course has often required annual bailouts on the order of $1M. Tevye, from Fiddler on the Roof, told us that traditions are very important, so city council carried on with tradition and recently approved this year’s subsidy of $1.4M. In each past year, excuses for the red ink would accompany the subsidy. However, this year, the council passed the subsidy without comment. I guess that after 16 years, there really isn’t anything left to say in justifying the unjustifiable. One current council member, who was on the original council that voted for the golf course, claimed earlier this year that they can’t be blamed for this fiasco because they based their decision on advice from consultants who assured the city the course would be profitable. But what exactly did they expect golf course consultants to recommend? Beavercreek’s woes aren’t unique. Many municipalities have similar burdens, whether from golf courses or other questionable projects. These vanity tax burdens are not the result of honest judgment calls. Rather, they often exist because the people we elect to our “councils of government” have little, if any, understanding of, or respect for, the proper functions of government. Given Beavercreek’s location, tax base, and other prevailing factors too numerous to include here, any sensible person would have concluded that building a golf course was not a proper function of Beavercreek city government. I would have provided that information to the city council for free. Earlier this year, Beavercreek voters rejected for the third time a city income tax by a margin of nearly 2 to 1. (Beavercreek’s charter requires voters to approve any city income tax.) Today, Beavercreek remains one of a few Ohio cities of its size or greater that does not have an income tax. Yet, two of the council members who strongly supported the tax were recently voted mayor and vice-mayor. And the council member I mentioned above, who helped give us the golf course tax burden, has been repeatedly voted to office. There is definitely a difference between how we vote on individual issues based on their cost versus how we vote for candidates based on their personalities. The fact that we keep electing the same people or type of people to office says much about ourselves. Our election process has evolved to where candidates pretend to promise to uphold the concept of limited government and voters pretend to believe them. We are taught how the division of government provides checks and balances, yet we lack the understanding that the most important check and balance is our involvement in the governing process beyond voting. Unfortunately, it’s usually the same people who involve themselves in the process. Beavercreek’s recent failed income tax attempt was no different. During public meetings, I and several others who are active in city affairs provided council numerous inputs dealing with limiting the law. Council ignored all of our recommendations and put an initiative on the ballot that was similar to the previous failed attempts. Tradition? A number of us formed a political action committee to oppose the proposed law (pretty much the same people who defeated the past income tax initiatives). Our message was that, at its core, the proposed income tax was bad law, giving council unlimited control over a tax windfall. And with a tax windfall comes waste and corruption. But when you take on political issues you open yourself up to a lot of attacks. In local politics, those attacks can get very personal because neighbor is pitted against neighbor. The nastiest people are those that feel their free ride might be in danger if this or that levy or ballot issue fails. You end up being accused of wanting to destroy children’s futures, emergency services for seniors, or any number of such items. Some even go so far as claiming we should trust our elected officials and their administrators. It’s easy to see how misguided the accusations are. I don’t have the power to tax. I don’t have the power to regulate. I don’t have the power to summon. I don’t have the power to arrest. I don’t even have enough power to make abusing whatever power I do have worth the effort necessary to abuse it. However, these and other powers, in one form or another, are given to, and sometimes abused by, our elected representatives and their administrators. That is why those powers must be checked. I have very limited resources if I decide to take on an issue. I have to use my own funds or beg for donations. And I have to use the most precious limited resource I have – my free time. On the other hand, the government, in relative terms, has infinite resources to wage campaigns, using resources and salaries paid for, in part, by me. With all that said; who really has the power to impact your children’s future, the city you live in, or any other aspect of your life along with the ability to abuse those powers? It’s your elected representatives and other government officials. 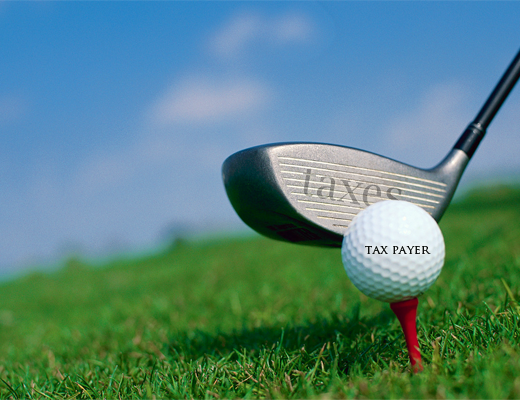 The Beavercreek golf course was approved directly by the Political Class ignoring its potential burden to the Taxpayer Class. The Beavercreek income tax initiative was written by the Political Class ignoring the needs of the Taxpayer Class. But, in the case of the income tax, the Taxpayer Class had a voice.